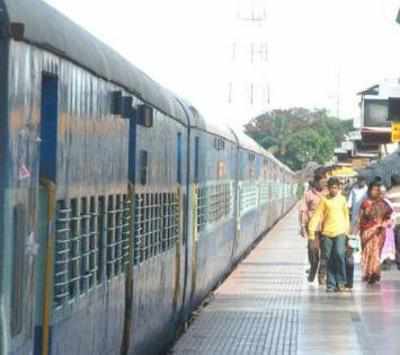 VIJAYAWADA: The Indian Railways has decided to operate special trains on the Kacheguda-Tatanagar route via Visakhapatnam in order to clear extra rush of passengers. The 07438-A cheguda Tatanagar Special train Will Leave The cheguda on Mondays from November 21 to December 26 at 1 pm and reach Visakhapatnam the Next day at 1.30 am. Will it then depart at 1.50 per reach Tatanagar am and at 7:45 pm on the same day. In the return direction, the 07439 Tatanagar-Kacheguda special train will leave Tatanagar on Tuesdays from November 22 to December 27 at 10:50 pm and reach Visakhapatnam the next day at 2.50 pm. It will then depart at 3.30 pm and reach Kacheguda at 5 am the next day. These special trains will stop, so Malkajgiri, Nalgonda, Mirylaguda , Pidugurlla , Guntur, Vijayawada, Eluru, Tadepalligudem, Rajhmundray, Samalkot, Anakapalli, Duwvada, Visakhapatnam, Vizianagaram, Srikakulam Road, Plsa, Berhampur, Khurda Road, Bhubaneswar, kuttaka, Sukinda Road , Kendujrgda, Jaroli, Banspani, Dngoeposi and Chaibasa.